We work hard to make our products intuitive and reliable. But just in case you have an issue, we?re here to help. 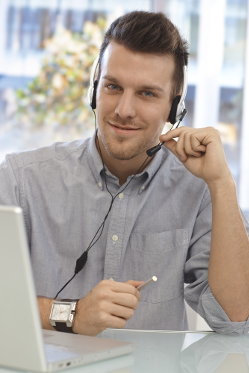 We provide live phone support for all existing ABS Utility Billing customers. Once you have your customer code, you can call us Monday through Friday 9am to 4pm Pacific Time. Our Support team is made up of American Business Software employees who work side by side with the product, design, and engineering departments to improve the customer experience. Which means they know our business inside and out and are ready to help you via phone, email, or Teamviewer.